Moreland Primary School is an inner city Melbourne school that has experienced considerable change over the last two decades. The demographic and structural changes, which have occurred throughout the inner city as a result of development and urban evolution, have impacted on the school’s feeder community. The school has changed from a large school to a much smaller one. From a peak roll of around 1000 the school currently has about 170 students. The school has responded with visionary changes of its own and in recent years has introduced a raft of new programs that operate collectively to help define the character, values and aims of the school. A strong part of Moreland Primary School’s sense of purpose has been empowering the children to make a difference. The school has run a number of MAD (Making a Difference) days during the last few years. The aim of these days was to enable the children to make a difference at a local level and by doing so also strengthen the school’s involvement in the wider community. Emphasis was also placed on understanding and appreciating the wider context of local issues and so the children were encouraged to see what was happening beyond the local, and to make links to global issues. Among the MAD activities were ones that were linked to local environmental concerns particularly the concerns surrounding Merri Creek welfare. ResourceSmart AuSSI-VIC was a natural fit into such values. The program was one of the initiatives that the school undertook to support and extend the developing school culture, and the teaching and learning objectives that shape the schools identity. Christine investigated the ResourceSmart AuSSI-VIC program through her roles as a leading teacher responsible for Integrated Curriculum, and also the POLT (Principles of Learning and Teaching) coordinator. She recognised that the program supported the philosophies which the school was developing and therefore the potential it had for providing multiple benefits to the school. The connection to ResourceSmart AuSSI-VIC began in late 2008 and in 2009 the school completed both the Waste and Core modules. As such, the program is both new to the school and already deeply embedded. The story that has been chosen to represent Moreland Primary School reflects both of these factors. The story of significance related here is one of engagement that goes across the whole of the school and its community, but is focussed particularly on student involvement and the ways that students have initiated and led the wider school engagement. In 2009 a student group called the MEPA (Moreland Environmental Protection Activators) Group was formed. This story is about the MEPA group and the children in it who are the ones that lead student environmental involvement. The students in MEPA have a green bandanna and a badge to make them very visible and they take on responsibility for actual projects. For instance, they formed a Water management group which looks after water recycling and takes responsibility for the collection containers under the taps and other water initiatives. In a similar way, they formed another group which looks after Waste management including paper recycling and litter responsibilities. The group members do not however do all the tasks and duties themselves. MEPA is very much about establishing peer support and getting the students to actually run the programs. The MEPA members drive the programs by getting the messages across. In this way, what began with the teachers has now been developed and carried on by the students. The MEPA group was designed to allow the children to take ownership and responsibility for environmental issues and they have responded fully. What they have done in the group has already gone much further than just managing the kinds of in-school routine activities like paper recycling and water containers. Last year the students went on an excursion to the Melbourne Zoo. While there they looked at Orang-utans and their loss of habitat to Palm Oil production, and were also introduced to Gorillas and the Coltan recycling program for Mobile phones. (Coltan is the shortened name for a mineral that is essential for mobile phone modems. The production of Coltan is associated with extreme environmental and human ethical concerns. Among those concerns is the fact that Gorilla habitat in Burundi is severely threatened by mining. Appropriate recycling of mobile phones has strong environmental connections and Melbourne Zoo promotes a recycling program directed to supporting Gorilla protection). The children were so taken by the Orang-utans and the messages about the mobile phones that they brought their learning back to the school and promoted a mobile phone recycling effort. They also did research on foods containing Palm Oil and did a variety of digital and other presentations linked to their findings. In their presentations they suggested that the ‘problem’ foods and other products containing Palm Oil could be avoided. The message was not about banning the products but more about raising awareness and asking people to check product ingredients. They also suggested that supporters write and complain to the product manufacturers saying that Palm Oil has to be identified and labelled to ‘Give us a choice’. The media presentations they did were fantastic. The presentations went on the school’s website and were sent to other schools. They also made posters which they put up in the community. The projects were driven by the children and the strong emotions they felt with regard to their sense of the issues’ importance. They were able to take action and the result was powerful and very empowering. Although perhaps the most significant of the projects the children undertook, the ones that stemmed from the zoo visit were not the only projects in 2009. One such program was the Watersmart Behaviour Change program undertaken in conjunction with Yarra Valley Water. The program involved the children learning to have ‘behaviour change conversations’ that allowed them to identify things about water use that made them uncomfortable and that they wanted to change. In this way the program was not about Yarra Valley Water telling the children what to do but allowed the children to take responsibility and decide actions themselves. The students then included their families in the behaviour change conversations. Apart from water-use changes at their own homes, the students made videos and podcasts which were used by Yarra Valley Water in the wider community. Similarly, in other projects the children made contact with the local Moreland Council. One outcome was that they spray-painted the storm water drains. The children also went to a young leaders’ conference at the Moreland Council and pushed for the Council to collect recycled paper for free (currently the school pays for paper recycling). Last year, when it was started the MEPA group included Years 3,4,5 and 6. This year as the idea evolves it is the junior council representatives from prep to year 6 who will be involved. Already, early in the year there are plans to extend what the group is doing with regard to environmental issues in the school and the wider community. New projects beckon. 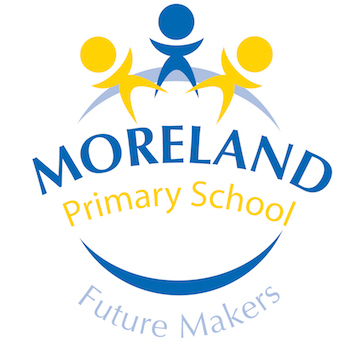 The story of the MEPA group illustrates the student aspect of the larger picture involving widespread buy-in at Moreland Primary School to sustainability. It seems appropriate that the students should represent the school’s ResourceSmart AuSSI-Vic story beyond the school because of the way they have embraced and represented sustainability within the school. After all, this story is also very much about Moreland Primary School’s attempts ensure that their students are MAD. In turn, the school is clearly ‘Making a Difference’ to the students. The children have come to realise that they do have a voice and that they can make a difference. How much of a difference? What better way to end the story than with a comment by a student that captures the significance of the MEPA group. Referring to his bandanna, the student said “There’s my honour”.